Two delightful collections of short stories aimed squarely at the 6-8 year olds, these two books are released with perfect timing for Christmas gifts. With many of Australia’s leading authors on board including Tristan Bancks, Sophie Masson, Bill Condon, George Ivanoff, Janeen Brian, Martin Chatterton, Claire Saxby and Jacqueline Harvey, little people who are either newly independent readers or enjoy read alouds will love these engaging stories. Some silly, some serious, some adventurous, some clever means something for everyone! Stories for Boys is illustrated by Tony Flowers, whose work will be known already by followers of the popular Saurus Street series while Stories for Girls is illustrated by J. Yi who is particularly known for the Alice-Miranda series. Over the weekend Miss Small (8) and I shared two of the stories from the Girls book and her facial expressions, comments and laughter affirmed that these will be a sure-fire hit with the smaller folk in your reading circles. Arabella Button, by Grace Atwood was particularly well received. After all, just the very image of a giraffe doing ballet was enough to set us both in the right frame of mind for a cosy happy snuggle before bedtime. We are both looking forward to the next weekend sleepover to continue working our way through the contents page. For those familiar with the Stories for Five, Six, Seven and Eight Year Olds series, the style of these two collections will be very recognisable. Perfect for teachers wanting a quick story for a spare five minutes or parents needing that brief before bed just-one-more tale, both of these will appeal to the imaginations and humour of the age group. This graphic novel is the second in a trilogy by Indigenous author/illustrator Brenton E McKenna. Inspired by comic books from a young age and with a passion for both writing and art, McKenna has put his studies in Visual Arts to excellent use in this series which takes its setting and characters from his own home town of Broome. In post-WW2 Broome, the population was already a melting pot of multiculturalism with a rich history of plucky characters and exciting incidents. This second episode reintroduces characters from the first and continues the The Legend of the Phoenix Dragon. The main protagonist, Ubby, is a young Aboriginal girl (based on McKenna’s feisty grandmother) but her Underdogs encompass youngsters from a variety of backgrounds. With a gripping backdrop of both Aboriginal and Chinese mythology, Ubby’s Underdogs take on a mission to rescue their friend Sai Fong, the Dragon Summoner, from the rival gangs pursuing her for their own evil ends. McKenna’s art training is evident in the stylish presentation of this graphic novel – the black framing and outstanding use of colour heighten the intensity of the story. There is a ‘manga’ feel to the design which devotees of that genre will find appealing. While recommended for Upper Primary to Secondary, I would suggest that some of the phonetic/accented dialogue may be a challenge for less than capable readers. Both boys and girls would relate to this book, as though Ubby is the leader of her rag-tag band, she is clearly not the most ‘girly’ girl. The growing market for graphic literature attests to its popularity with a young generation who are far more visually influenced that those of the past. This series would be a fabulous addition to your Graphic shelves – or if you have not yet ventured into graphic literature this home-grown series may be a fine starting point. There has been some resistance from some quarters who suggest that graphic novels are ‘easy’ reading and therefore to be dismissed with scorn. Clearly they have not read any of quality would be my response! This series could equally add to Australian studies as a springboard to discussion of Broome, the Chinese in Australia, the pearling industry and more. A few years ago I was teacher-librarian in a footy mad Queensland state school on the north side of Brisbane, trying very hard to get some reluctant boy readers to pick up something other than the Rugby League Weekly magazines (which they read and re-read till the point of disintegration). This new book from Scott Prince and Dave Hartley would have been perfect for persuading some of those boys to read something else. 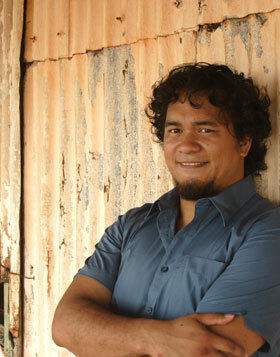 Winner of the 2013 State Library of Queensland Kuril Dhagun Prize, as part of the black&write! Indigenous Writing Fellowship competition which was established in 2010 to encourage more Indigenous authors to develop their manuscripts for publication, Deadly D & Justice Jones: Making the Team is the first in a projected series to promote reading for leisure and pleasure to sports mad kids. Scott Prince, of course, is well known to many as a high profile star of rugby league and is also an Indigenous ambassador for the “Learn, Earn, Legend!” initiative while his mate Dave Hartley is a deputy principal at Woodridge State School, in the Logan area south of Brisbane, who was awarded ‘Gold Coast Teacher of the Year” in 2009. Both have Indigenous backgrounds and have achieved great success in their respective careers and make perfect role models for young students. Dylan is 11 years old and relocates to Brisbane from Mt Isa when his widowed mother gains a promotion. Missing his extended family and friends Dylan’s story echoes Prince’s own experience. Though Dylan is upset about the move, much of his anxiety is relieved when he finds his new principal was formerly a footy player in Mt Isa, his new teacher is a Broncos fanatic and his new Maori mate, Justice Jones, is a diehard Warriors supporter. Dylan’s biggest problem arises when Jared the school bully decides to start in on Justice and Dylan steps in. Ordinarily, Dylan, being a much smaller boy than Jared, would probably have some difficulty in defending himself – except Dylan has a strange super-power. When he gets angry, he turns ‘into a man-creature – a massive, wild and hairy man with a body full of muscles’. Jared gets much more than he bargained for when he switches his thuggish attention to Dylan! When Dylan’s ‘curse’ becomes apparent during a school excursion to visit the Broncos, Dylan finds himself – well, his alter ego – being invited to join the team. As Deadly D Dylan is fast on his way to becoming a superstar to rival the legendary Prince himself! This is a great fun read with simple language which will engage students, primarily boys, from 10 up. A few weeks ago I read Love in a Cold Climate and by chance, the next time I was in the local library found the spoken word CD of the sequel (3rd in a trilogy) to this amusing novel. 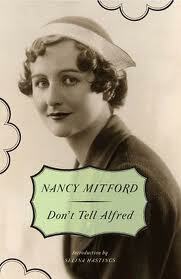 Set almost thirty years after the first book, and again narrated by Fanny, Don’t Tell Alfred continues to examine the foibles of society but this time in Paris where Fanny’s Oxford Don husband, now Sir Alfred Wincham, has been sent as Ambassador. With a ditzy second cousin called Northey, ostensibly employed as Fanny’s social secretary but who spends more time socialising and acquiring followers, an able assistant Phillip Cliffe-Musgrave, former student of Alfred’s, her three sons rejecting the Establishment and creating havoc where ever they go, an odious gossip columnist casting all Embassy news into a skewed and embarrassing light and the ever reliable, though definitely eccentric, Uncle Matthew, Fanny finally triumphs as a socially adept Ambassadress though not without numerous amusing incidents along the way. Throughout all the mayhem the constant refrain is ‘but don’t tell Alfred’ as Fanny strives to make the new Ambassador’s position as smooth as possible – needless to say, at times with less than spectacular success. A most enjoyable commute ‘listen’. Nick Gautier is turning sixteen – and much of what goes with that normally holds true for Nick, like getting his driver’s licence, breaking up with one girl but taking up with another, not to mention troubles at school except……Nick’s licence is conjured by his Dark-Hunter protector Acheron, the girl, Kody, he broke up with has supernatural Nekoda powers and a mission to kill him (albeit unwillingly)….while the new girl pursuing him hotly, Casey, is also not what she seems. 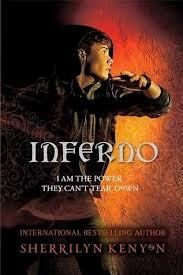 In fact, the real Casey has been ‘occupied’ by a dangerous demon intent on destroying Nick and absorbing his powers. Those who have followed the Chronicles of Nick from the beginning of the series will understand the danger in which Nick stands at this point of his life. As the Malachai heir, Nick’s powers are increasing exponentially, particularly as those of his Malachai father are waning. Nick’s only hope to avoid being the most powerful of all evil beings and the destroyer of the entire world is to be resolute in resisting the darkness, while commanding and controlling the elements that beset him. In this new episode, New Orleans appears even more so to be inhabited by so many different preternatural forces that Nick’s chances of surviving seem slimmer than ever – particularly when his enemies summon an ancient force so powerful that even those wielding immense power fear it. With characters from the previous novels, Caleb, Kyrian, Bubba, Simri, Ambrose along with Nick’s feisty mother Cherise still expending every possible energy to keep him safe, Nick is faced with new combatants – Hel hounds, Mara, Zavid and more. Only Nick’s strength of character can keep him from the evil dangers surrounding him – that and staying alive. I will not fail in this. While he might be a Malachai, he was also a guardian. Somehow, he was going to defy the odds that condemned him. And he would save the lives of those he loved. Highly recommended for young adult readers 13 and up who enjoy supernatural fiction – and aren’t afraid of the dark. Like many other little people around this time of the year, Beena (known to her family as Jellybean) is so excited about starting school and has been looking forward tremendously to learning to read and write, and finding out about the world and its wonders. When the great day arrives, she is up early and dressed in her new uniform and shiny new shoes – ready for anything. That is until she actually walks through the school gate with her mum, when she is assailed by sudden trepidation. Maybe school isn’t such a good idea, Jellybean worries. With reassurance from Mum and gentle encouragement from her kind teacher Miss Benson, Jellybean and her new friend Alex both discover during their first day that school can be a marvellous place. The delightful illustrations in this book are particularly enhanced by a lively choice of colours. The double page spreads with Jellybean’s imaginative thoughts partnered with the activity of the moment are simply gorgeous and will make any little person enthused about the possibilities for themselves. I particularly like the diversity of children shown in the playground and classroom, with Jellybean herself clearly not ‘Anglo’. Whether you have Kinder kids of your own, preschoolers anticipating ‘big school’ or as a read-on-the-first-day choice to assuage any anxieties, this is a terrifically appealing book. Perfect for Miss Four and definitely going on her bookshelf, this is highly recommended for your littlies from 3-5 years. I am not a gamer though I can count several among my circle of friends but I can appreciate a fast-paced and complex plot with very believable characters – even though some of them are ‘virtual’. The action and tension of ‘The Eye of Minds’ reminded me of ‘The Matrix’ film with its slickness, blurring of reality and virtual reality and the ominous presence of evil (substitute “Mr Smith” for “Kaine”). Michael, Bryson and Sarah are three ‘VirtNet’ friends. They have never met in the ‘Wake’ but have shared and survived many virtual experiences, both good and bad, using their combined extraordinary hacking skills and technical savvy. When they are recruited by mysterious government officials to help track down a diabolically clever cyber terrorist known only as Kaine, the ‘game’ becomes deadly serious. Forget about creating wild fantasies in the virtual world, this is far more like creating horrific nightmares. In this futuristic space, playing by the rules is forgotten as Michael and his friends run the gamut of colossal risks, demonstrating qualities of pluck, intelligence and initiative. 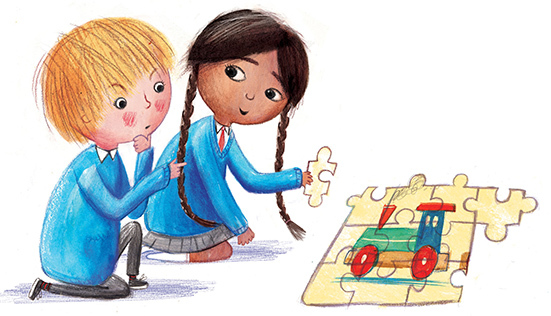 The text is written in a straight forward way which will ensure accessibility by reluctant readers, while the presence of both boy and girl protagonists will lend appeal for both genders. The first in the ‘Mortality Doctrine’ series, this novel from the author of the New York Times bestselling Maze Runner series, as well as the 13th Reality series and The Infinity ring, will be a sure fire winner with many young adult readers – especially those who are into the gaming action. The moderate violence may be unsettling for some readers and thus recommended for Lower Secondary and up. Where most of us are merely content to survive Xmas, the inimitable Nanny Piggins ably provides us with a foolproof guide to triumphantly trouncing Christmas into submission. 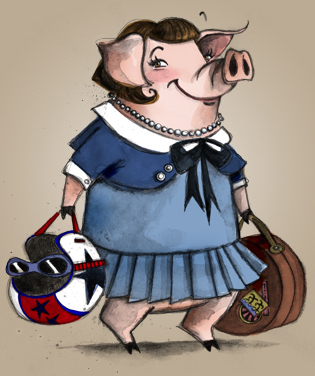 Interspersed with a hilarious Christmas story, Nanny Piggins (with the aid of her trusty assistant R. A. Spratt) supplies pig-approved recipes, handy hints for everything from fashion to how to get the best results from Santa and festive games. If you think Christmas with your relations is abysmal, just reading about the scrimmage between the deadly dull Green extended family and the wildly eccentric Piggins clan will definitely give you some relief. Readers who have not yet encountered the subversive and flamboyant Nanny Piggins can read this as a stand-alone, though will no doubt be rushing the shelves to catch up with the first eight books in the series. Wacky and wonderful, this handy compendium would be a perfect addition to your Christmas reading list/display – or a very suitable alternative to boring socks and undies for any reader 8-12 years on your Xmas shopping list. If you are an adventurous cook and decide to flambé your turkey, don’t forget to wear a fireproof hat. It doesn’t matter how delicious your meal is, if you burn all the hair off the front of your head while cooking it, that is what your guests will talk about on the way home.